Prague has been under communism for 40 years but is now back to being capitalist. It’s one of Europe’s very popular tourist destinations and deciding to have a vacation here is definitely worth the buck! Prague is the capital of the Czech Republic and there are many sightseeing places here as well as restaurants and nightlife venues to cater their locals as well as the tourists. 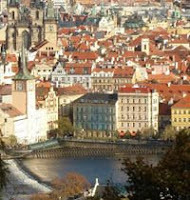 If you go to Prague make sure you visit their historical venues and enjoy the rich history of this beautiful city. 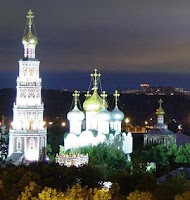 Visit the Castle which is at the highest point of the city. Go and have your pictures taken at the Schwarzenberg Palace and after that, you can go and check out their Archbishop’s palace which is just the opposite of it. There are different museums too and kids would surely love visiting their Aircraft Museum. If sightseeing is not really your thing and you prefer to have a full tummy then visit some of their great restaurants here. If you have your kids along then go to Albio which is a wholesome restaurant that caters both the olds and the little ones. For tacos and chimichangas, don’t miss out on Amigos. You’d definitely end up saying “delicioso”! For local foods, go to Country Life which is inexpensive and you’d be amazed that it’s always jam-packed! And of course, if you are in Prague, visit their churches as well. They are religious people and it wouldn’t hurt if you pay your respect and be thankful for a wonderful trip to Prague that you are now enjoying. When people talk about travelling around the world, many different places come to mind. However, one place that gets left out a lot is Central America. Anyone that has ever been there is asking, why not go there? Most people have the wrong idea about Central America, and thus, it does not get as many tourists as it once did. This is actually one of the main reasons to start going there again. The prices are very reasonable because of the lack of tourists, and on top of that, you do not have to deal with tons of crowds whenever you go. One reason to go to Central America is because of the pristine rain forest that it offers. Due to the fact that there is a rain forest here, the area is full of multi-coloured birds, as well as howler monkeys. If that is not enough for you, then you can choose to go hiking or even river rafting. This is a place that is perfect for people who like a little adventure on their holiday. After, all of that you can head over to the Mayan ruins in Copan in Honduras. If you're looking for a little bit more rest and relaxation, then do not worry. Central America has you covered with that as well. Head over to the Bay Islands, where you can take some scuba diving lessons and see the dazzling coral reef under your feet! All of this sounds pretty nice, right? But what about prices? Well, $8 will buy you a pretty hearty dinner there. Not only that, but most nice hotels are only about $25 a night! Some places will charge less if you do not mind sleeping in a hammock. Either way, you can see that this is not a place that is going to break the wallet. The flight will cost you more, prices start from £600 per person. If you want to revitalize your senses and experience life in a country that has non-stop energy then Hong Kong is the exact vacation place for you. Hong Kong is best known for its best shopping bargain finds but besides this, this country has a lot more to give. Bring out the child in you and experience Disneyland all over again. Join Mickey and his friends as they show you why being a kid used to be so much fun. The lights show in Sleeping Beauty’s castle followed a fantastic display of fireworks will definitely have you wanting more and more. For a more adventurous time, try Ocean Park, Hong Kong’s very own marine theme park, and go wild as you shriek at some of their spectacular rides. You can also see cute adorable pandas; ride a cable car and they even have a three storey aquarium. Food outlets are scattered all over the place just in case you get famished from all your walking and screaming. The Star Ferry is a great way to get from Hong Kong Island, their main business district, to Kowloon which is known as the Shopper’s Paradise since it’s very affordable. Once you get to Kowloon, you can visit the Avenue of Stars if you want to see Hong Kong’s magnificent skyline. 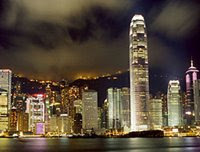 When it gets dark, visit Tsim Sha Tsui where all the buildings are lit up to experience the amazing light show. From the airport, you can take a shuttle if your whole family is with you or you can ride a cab if you’re travelling alone. Once you get to the city, walking is your best option to take in all the sights and to be able to scour all the good finds plus you get to taste all the scrumptious street foods in this country. Experience a different culture and eat authentic dim-sum to your heart’s desire. Live it, Love it, Hongkong. Asia is a very pretty place to go visit. However, it is so big you must narrow it down. 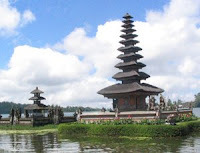 If you are going to travel to Asia, then you might as well go to Indonesia and see Bali Island. This is a place that seduces its visitors with magnificent beaches. Of course, Bali does not stop there either. It has lush volcanic peaks and green rice paddies as far as the eye can see. There are also a lot of shrines and temples here as well. This really is a fantasy setting that anyone can fall in love with. Of course, a lot of places in Asia are like that, so what makes Bali so much better? Well first of all, you can have a lot of luxury here with very little money. Even the places that are “budget” hotels have amazing carved wooden furniture and jewel fabric! If that is not enough, for about $10 you can also rent out a beach bungalow! This is a great way to enjoy the beauty of Bali. The hotels normally offer massages at good prices as well. Most of the time, they are about $20, but as you can guess, they are well worth the money. Last, but not least, you will never run out of things to do. That is because there are a ton of great late night dance clubs in Bali as well. This allows you to get out there and dance it up with the locals. All the people in this area are just looking to have a lot of fun. You are bound to run into some people from your country as well. After all, a lot of people love to travel to this area. Fiji is one of the best places in the world to enjoy a truly tropical experience. Located in the southern part of the Pacific Ocean, Fiji is a collection of islands – each of them offers a unique tropical experience. If you truly want to experience the best of Fiji, consider getting a cruise and in these islands, the best cruise ship to consider is the Reef Escape Cruise. Don’t be deceived by its small capacity. Even though it only has the capacity for 120 passengers their services and amenities is world class and highly personalized. The Reef Escape Cruise will show you the best of the islands. Each stop is a unique experience that deals with nature, the local culture and shopping. It’s a family friendly cruise so you could bring everyone and enjoy the islands together. There are two types of cruise you can take in Reef Escape. The first type of cruise is the Yasawa Islands cruise. 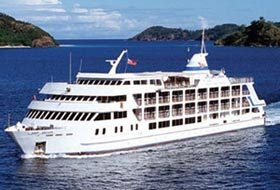 The cruise will concentrate on the north western portion of the Fiji. You should be able to enjoy snorkeling, visiting different villages and enjoying local food. This part of the islands is composed of 12 islands which could be more than enough to learn more and have fun in Fiji. If you want to explore Fiji more, Reef Escape could take you to the beautiful and remote islands in the north. You’ll be visiting Taveuni and Vanua Levu Islands along with the visit to the town of Levuka in the island of Ovalau. These places offer a unique experience wherein you can snorkel on top of clear waters with miles and miles of reefs and different forms of life underwater. Dubai is the most developed state out of all the seven ones comprising the United Arab Emirates. Located at the bottom of the Arabian Peninsula, Dubai is by far one of the best vacation spots in the Middle East as it offers a lot even if it is situated in the middle of the desert not to mention it attracts tourists with its shopping escapades. There are three parts of Dubai you have to know especially if you have different needs when you visit this city. Their central suburban area is called Bur Dubai, while their Business District is called Deira. If you have an expensive taste and would like to be closer to the beach, then Jumeirah is the place for you. If you’re feeling the heat, head on the Beach Park which is located in Jumeira. A public beach and picnic resort which has clean amenities to refresh you when you feel the need to dip in water that’s cool and revitalizing. Of course, for your shopping needs visit Bur Juman Centre which is in the heart of the Business District. A huge mall which offers different boutiques and of course, food shops to pump up your energy when you’re too pooped from shopping. If you want to save on your shopping, go to Karama Shopping Street. It’s not fancy like the mall but you’re sure to get a lot of bargains here especially if you want to bring home souvenirs. Experiencing Dubai is definitely an exciting activity for anybody who wants to see and live through something different. Did I mention you can even go dune bashing in the desert using 4 wheel drive jeeps? Now that’s something to look forward to. Holidays in Dubai (flight + hotel) from £442. Travelling to a historical city is very exciting. Luxor is filled with historical places which is why it is called as the open air museum. Just look around you when you’re in Luxor and you’ll know why it’s called that. Everywhere you look there’s always something you just want to check out just like you would if you’re in a museum. Lots of monuments that had been preserved for so many years are still standing here. Luxor is not just a recent major attraction. In fact, Luxor has been a major attraction for thousands of years! The Romans and the Greeks at their time had already recognized Luxor as a tourist destination. Now, Luxor remains as one of the world’s most favored destination especially by people who love to walk down the paths in history. 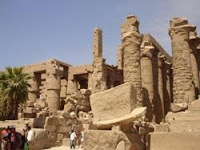 Check out the Luxor temple built by Amenophis III which is connected to Karnak temple or go and visit the Luxor museum where you’ll find ancient toms and statues from the Ancient Egypt. The Valley of the Kings is a chilling place to visit where you’ll find ancient tombs from the 18th to 19th Dynasties. Of course, visiting ancient tombs is very exciting. You’d see how the ancient Egyptians burry their dead and you’d also learn about how these people died through their tombs. It’s amazing what you can learn from the dead, really. Travelling to Luxor is very rewarding and you must at least visit this place even once in your lifetime. It’s a must go to place and experience the past and enjoy the present. Explore the beautiful islands of Galapagos while enjoying the accommodation aboard the Eclipse, one of the few very luxurious expedition cruise vessels to tour around the Galapagos. 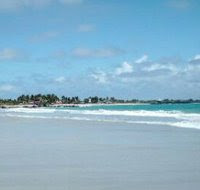 Explore the many islands in Galapagos such as Baltra, Darwin, Bartolome, Isabela and a lot more. Isn’t it great to lounge on a luxurious cruise ship without the hassle of too many tourists like you? With Eclipse luxurious cruise ship, you’d be just 1 of the maximum of 48 total passengers. Not that much people on board so you can mingle without feeling too overcrowded. It also prides itself with the classic décor and great woodwork. You’d feel the luxury of this cruise just by walking along this small yet rich ship. Feel the ambiance and the breeze while dining at their al fresco dining space. Lounge around while enjoying the view of the Galapagos Islands and have as much fun and filled memories as you can. Bring your family along and enjoy this great experience together. So, what do you get from choosing Eclipse ship? You won’t only have an extremely fun and exciting experience while you are aboard the ship but you can avail of their wonderful offer as well. If you choose to have your cruise aboard the Eclipse, you will also get a free air ticket to the Galapagos Islands. Not only that but you will get free entrance tickets to the Galapagos National Park as well and a 2-night stay at their selected 4-star hotel in the area. So, there’s really no reason for you not to choose the Eclipse cruise ship for your Galapagos Islands getaway!